A contemporary interpretation of the swan, inspired by the Centenary Swan launched in 1995. 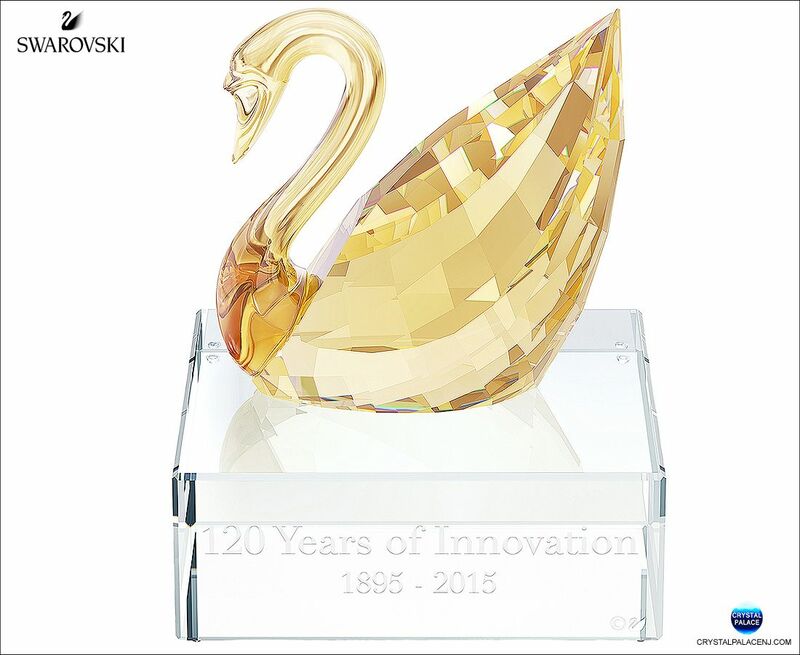 An iconic design, Special engraving featuring the logo of Swarovski. Faceted clear Crystal with Golden Shine coating.